We, academics, activists, artists and practitioners from 42 countries in six continents of the world, gathered at the OURMedia 7 conference in Accra, Ghana, from 11 to15 August 2008. We shared our work and pursued our ongoing dialogue on the achievements and challenges of our communities around the theme of "Identity, Inclusion and Innovation - Alternative Communication in a Globalized World." OURMedia is an open, decentralized and non-hierarchical network created with the goal of bridging gaps and facilitating dialogue and collaboration among people like ourselves and the communities whose voices and experiences we seek to project. OURMedia 7 was the first time the network met in Africa since it was founded in 2001, the previous six conferences having been held in Washington, D.C.., USA; Barcelona, Spain; Barranquilla, Colombia; Porto Alegre, Brazil; Bangalore, India; and Sydney, Australia. Together at OURMedia 7, we constructed a conference that strove to be in itself a mirror of alternative communication, not only reflecting through its content but also living out through its process the values of identity, inclusion and innovation. OURMedia 7 highlighted the three sub-themes of Identity, Inclusion and Innovation as key dimensions of alternative communication in, for and towards an alternative world. The three sub-themes may be regarded as different faces of marginalization in a world where expression is becoming increasingly uniform, majorities are being excluded, and even exploited, and certain kinds of knowledge and experience are presented as having more value than others. At the same time, the assertion of identity, inclusion and innovation are the very sources of strength to overcome homogenization, exclusion and relegation. Interviewing for Radio Ada. Photo by Alfonso Gumucio Dagron From the moment OURMedia 7 began and especially its opening invocation - a profound mix of poetry, oratory, song, drum and poignant bamboo flute (the atenteben) - we came to better understand and appreciate a world view overlooked or deliberately cast aside in a globalized world. A world view interconnected across time, rich in symbolism of image, rhythm and cadence, movement and flow, speech and silence. We were renewed and deepened by what we found. We realized even more how impoverished the globalized world being constructed by a few – with its packaged assumptions, assembly-line media and sound bites - has become. We discussed vivid accounts of solid academic research, conscientious practice, or both, on alternative communication initiatives. These initiatives spanned the various parts of the world that we came from, from China to Australia to Turkey to Spain to Argentina to Guyana, to name only a few, and, of course, Africa. They covered a tremendous diversity, ranging from traditional media to new information and communication technologies: for example, indigenous symbols, street art, community theatre, community radio, film, and current new online media such as YouTube. The accounts were often in the context of the different ways communities are violated – by endemic poverty, by the neglect of the state, by the outright or insidious take-over of corporate interests, by the indifference or sensationalism of the mainstream media, by armed conflict brought about by a combination of these and other factors. In every case, more powerful were the stories of how alternative communication, by enabling people to take control of the primary act of communication, defy even seemingly insurmountable obstacles to preserve and enrich what matters most to them as communities. In every case, what mattered was not the technology but the extent to which people, and especially those traditionally excluded, had equitable access to create through communication. 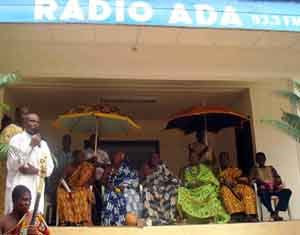 Community Radio Worker who is Continuity Announcer at Radio ADA in Ghana We celebrated the 10th anniversary of Radio Ada, a pioneer community radio station in Ghana, at a Community Radio Symposium on its home soil in Ada in the Dangme East District. We were honoured with a regal welcome from traditional custodians and leaders of its catchment area - chiefs and queenmothers and their elders in regalia. We engaged with some of the communities served by Radio Ada and found reaffirmation that our reason for being is in what we mean to our communities. DIALOGUE WITH RADIO ADAPhoto by Alfonso Gumucio Dagron In dialogue with us through volunteer producers acting as interpreters, members of these communities reiterated the powerful sentiment in the video documentary shown on Radio Ada: "If you take Radio Ada away from us, we would lose our language, we would lose our culture, we would lose who we are." 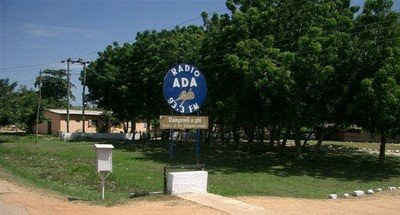 We were heartened that Radio Ada is but one of the living examples of participatory communication institutions within the Ghana Community Radio Network (GCRN) and indeed, within the World Association of Community Radio Broadcasters (AMARC). We provided the forum for the Africa observance of the 25th anniversary of AMARC. We marked how AMARC has grown in those 25 years from a handful to over 4,000 Community Radio stations in 115 countries across the globe, many of them in Africa. The depth of the organization was evident in the workshops AMARC organized as part of OURMedia 7 on democratic legislation, women's empowerment and good governance, social impact assessment, and digitalization. A key element of the observance was a workshop of representative members to sharpen the vision for a Community Radio Network in Africa as part of the process of rebuilding AMARC Africa. Participants came out of the workshops with greater clarity, confidence and oneness of purpose, building a solid foundation for the renaissance of AMARC Africa. OURMedia 7 deepened our respect even more for the tenacity and innovativeness of our communities in asserting their identity and their right to inclusion. At the same time, we were again made aware of the importance of empowering legislation and regulation. We heard about and joined with others worldwide in expressing solidarity with the newspaper Euskaldunon Egunkaria, from the evidence shut down since 2003 simply for keeping alive the language and culture of the Basque people. On a positive note, we applauded the agreement between GCRN and the national regulatory authority of Ghana on a development plan for approximately 100 Community Radio stations nationwide. We were also buoyed by news that the national regulatory authority of Uruguay had allocated a third of the frequency band to community media, including community television. 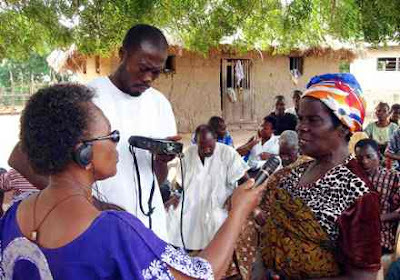 Being in Africa, we call especially on African governments to effect or consistently implement legislation that specifically addresses the needs of community media, thereby realizing the commitment made in their own declarations. We recall, in particular, the 1990 African Charter for Popular Participation in Development and Transformation (Arusha, Tanzania), the 2001 African Charter on Broadcasting (Windhoek, Namibia), the 2002 Declaration of Principles on Freedom of Expression in Africa of the Africa Commission on Human and People’s Rights (Banjul, The Gambia), and most recently the communiqué from the 2008 World Press Freedom Day (Maputo, Mozambique).. In an inequitable world where technical and financial assistance can play a critical leveraging role, we also call on donors and aid organisations to recognize that the very process of communication is not only at the heart of development, but is itself development. We ask them to extend their active support to people-centred-and-led media and communication, not just as a means to development ends, but as an embodiment of true participation and sustainability. We urge them to develop their own communication policies and strategies in coherence with their willingness to support participatory and inclusive processes of social change. Coming to a slice of Africa, experiencing firsthand its dynamism and challenges and joining it with the vigorous reality of alternative communication and media throughout the world, impacted deeply on all of us. We call on each other: · to keep alive the memory and experiences of OURMedia 7 to strengthen our resolve to facilitate the use of communication to build just, sustainable and genuinely democratic communities · to work harder to foster dialogue and mutual learning across our great diversity and in specific fields, as for example, across the academic disciplines of communication and education · to reinforce our support for each other and others everywhere in strengthening organic social movements invigorated by communication that embodies the values of Identity, Inclusion and Innovation · in particular to contribute to the growth and expansion of our network, OURMedia, maintaining its horizontal structure and its democratic values. Already, showing the vitality of our network, expressions of interest from other parts of the world have been raised to host our next conference, OURMedia 8. We look forward to another opportunity to learn about, celebrate and move forward the agenda of empowering people to assert and create their world through their media. Wilna and Alex Quarmyne, founder of Radio ADA. 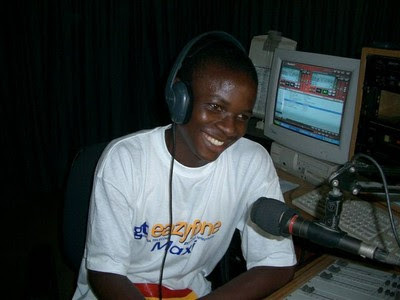 It was at Pacifica's Los Angeles affiliate – KPFK – that Alex Quarmyne, a young Ghanaian studying at the University of Southern California in the1960s, first gained experience working in community radio. 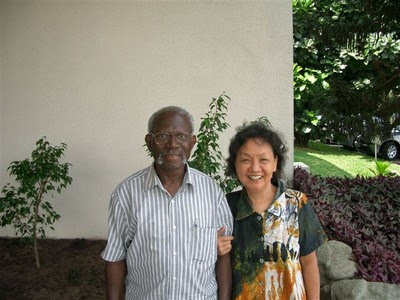 Alex and his wife, Wilna – who was a community radio pioneer in her native Philippines – are the founders Radio Ada and the Ghana Community Radio Network.